Coming from the good folk of Napoleone, this cider is made using Methode Traditionnelle and disgorging techniques. Comprising of the varieties Granny Smith, Sundowner and Pink Lady, this would have to be the French Champagne of Australian Cider. The cider opens with a loud ‘pop’, and pours cloudy with a beautiful lingering mousse. The nose gives off lovely fresh pear, pineapple and grapefruit characters. Secondary yeasty aromas, a direct result of ageing the cider on yeast less for 3 months, complements the fresher primary notes. Tiny hints of green apple aldehyde also lurk in the shadows of this impressively complex, delicate and feminine nose. The palate is soft, structured and pleasantly textural. It has long delicate apple flavours, finishing with a smooth creamy feel. The dry finish is complemented by refreshing acidity, subtle phenolics and explosions of soft, fluffy carbonation. This cider is for the wine connoisseurs, resembling a fine Champagne. Well made, beautifully presented and perfect with food. What a little stunner!! This review is going to be a little different to the usual which I have been writing of late. This is because I was very lucky recently to have the good folk at Small Players send over their range of Apple Cider, Sweet Cider and Perry from Tasmania. I thought to myself, instead of reviewing them one by one over a period of time, why not review them all as a range? It was the perfect opportunity to taste through a producer’s product line and become swept up in the little nuances and the differing styles between them all. So the way this review will work is by going through each cider in a shorter and more concise manner, and getting to the point from the word go. Hope you enjoy!! Small Players is the brainchild of Rebecca and Tim Duffy (and their two kids, a pig and a labrador) who are apart of Holm Oak Vineyards from Rowella in the Tamar Valley, Tasmania. Their cider was first released in March 2011, and is just one of the many lucky Tasmanian producers who get to work with the superior Tasmanian fruit. Just like Two Meter Tall’s Huon Farmhouse Dry Cider also from Tasmania, Small Players utilise the Sturmer Pippin apple (which I am still not totally convinced with yet). These ‘Small Players’ are now getting pretty serious with their cider, recently planting over 150 heritage cider apple trees, with 20 different varieties. All I can say is watch out for these guys in a few years time, especially as they plan to make a more traditional dry cider from these apples. But for now, their Dry Apple Cider, Sweet Apple Cider and Perry are holing the fort. So now let’s get to them! This cider is made from the Sturmer Pippin apple, and is notorious in my mind for making overly acidic dry ciders which boarder on unpleasant. The cider pours nice and cloudy with a lovely golden straw colour. There is a very low level of natural carbonation, and with this natural carbonation comes a high 8% alcohol level. The Sturmer apples offer up good amounts of pineapple, kiwi fruit and tropical fruits. Fresh green apples are also very evident. What I love about this nose is the secondary characters which make it super complex. Really cool ginger bread/clove spice notes are combined with some funky yeast characters too. There is a decent hint of brettanomyces (like band aids), which would be a direct result from the oak ageing of this cider. The palate is like I described, very very dry and makes the palate weight a little thin. There is a tonne of up front acidity, which can be quite confronting to some as well. There is however a nice level of phenolics, which gives texture and interest. I do like the yeasty, creamy mouth feel which is balanced out with a good smack of green fruit. This cider is almost heading in Scrumpy territory, being pure and unadulterated with high alcohol and natural carbonation. A good example? Yeah I think it’s commendable, but just watch out for that high acidity and 8% alcohol! They’ll creep up on you. So this little number is more like the many commercial ciders we are seeing explode in the Australian cider market. Milled, pressed, fermented, filtered and carbonated. Rebecca Duffy states that it takes around 6 weeks from fruit to bottle (as apposed to the dry cider which is 6 months). This cider utilises the residual fruit sweetness of apples like Granny Smith and Pink Lady’s, and is artificially carbonated. The cider pours almost clear in colour and filtered to a brilliant finish. There is only just a light spritz, with no overly aggressive bubbling when in the glass. The nose I can only describe as “wow! !” Amazing floral, tropical fruit breakfast juice notes just leap out of the glass at a crazy intensity. It’s like pure pineapple and mango juice, absolutely surreal. Beautiful pear characters also hit you, but the freshness and purity will knock you for six. This is one of the most memorable noses I have come across and I would go as far to say that this is the best nose of any Australian cider I have tried – period. I would put a fifty dollar bill on the table and say that perhaps some muscat juice has been blended into the final product, just saying. The palate offers lovely up front sweetness of pears and again tropical fruits. There is some lower acidity (and alcohol at 6.5%) which makes the palate a little flabby (meaning fat with little acid balance), but it is really hard to fault it. The light spritz gives enough to excite, and the finish is long and lingering. There’s no real phenolics to speak of, but the whole mouth feel is full, rich and rounded. This is a cider on steroids! If you can get your hands on this cider, then I STRONGLY recommend it. Beauty in a 375mL bottle! This perry is made the more traditional way, with oak age and bottle conditioning. It is also made using differing pear varieties, and is punching around the 7% alcohol level. One thing to remember with perry made from eating pears is the juice is very neutral and delicate. It does not parade around rich juicy pear characters with bucket loads of tannin like a traditional West England or French perry. It’s much softer and elegant, with more structured acidity. When poured, the Small Players perry is clear and again straw in colour with minimal natural carbonation. On the nose, copious amounts of leathery brettanomyces hit you from the oak ageing. Looking deeper down, subtle pear hints are evident which are in direct competition with some slight volatile notes. Once the perry warmed up a touch, the volatile notes got a little more evident along with some peppery characters. The palate showed some nice medium dry sweetness, and delicate pear flavours. Unfortunately, the palate was quite flabby and lacked any form of exciting carbonation. There was no textural phenolics or bitterness either, leading to a palate which just lacked ‘oomph’. It just needed that something else to make it more interesting and alive. This perry is a very simple example, and is a little shy in personality. For consumers who don’t like overly aromatic and sweet perry’s, then you may like to give this one a go. I would like to see some more fresh characters amongst the leather and volatile acidity, and also a higher level of carbonation. 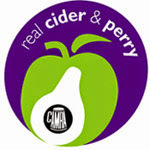 Maybe made more like the sweet cider, a more fresher and aromatic perry could be achieved? So there we have it! The Sweet Cider wins hands down without a doubt. This was an amazingly solid cider which was heavenly to drink and review. The Dry Cider was sound, but again the Sturmer variety just doesn’t strike a chord. But it had really great features, and a great deal of complexity. The Perry was just lacking that essential element which would make it a winner. An ok example, but I am sure it would go down well on those hot 40 degree days in the Australian summer. Great job all round! So what Country can give you pristine landscape, a North and South island, loads of sheep, rock gods Shihad and a thriving cider scene? It’s our firends across the ditch in New Zealand, and Old Mout (pronounced Moot), is one of the major cider players located in the Moutere Valley, Nelson. The Moutere Valley is an apple growing region located in the north-west end of the South Island just a short drive from Nelson City. This is prime apple growing country with perfect soil, all year round sunshine and cool nights offering up sublime growing conditions. The apples which are used to make the Old Mout ciders come from no less than 50Km’s away too. 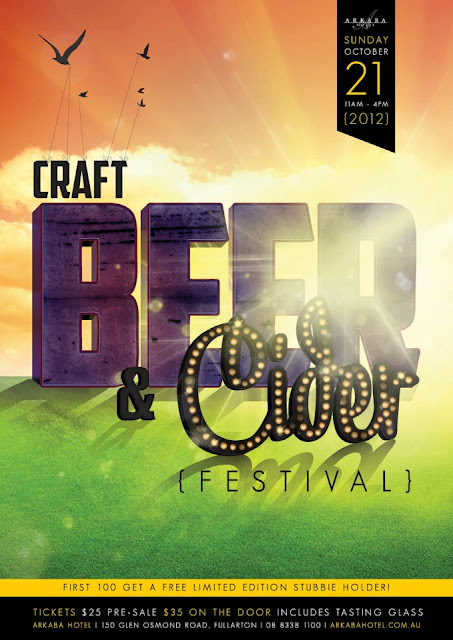 So it’s fair to say that this resource rich region of New Zealand can only be described as ‘perfect for cider’. Old Mout’s classic apple cider is made using culinary/eating apples, with the variety Braeburn making up 65% of their blend. Braeburn is also used quite extensively by the Lucky Duck Cider crew, and is becoming a perfect apple for cider. (http://allaboutcider.blogspot.com.au/2012/10/lucky-duck-cider-company-apple-cider.html). The Braeburn is a native New Zealander, so it’s fitting that it is represented in this well known cider. The classic apple cider comes in either a 750mL sparkling bottle or a 330mL bottle in Australia, but also a 1.25L soft drink bottle in New Zealand. On opening of the cider (750mL bottle), it poured nice and clear, clean and light straw in colour. There was a soft artificial carbonation, which produced a nice constant bead in the glass. The nose was also very clean and super fresh. It was very inviting from the word go, with nice floral prettiness, and red apple characters. Other fruits like pineapples and pears combined with a cool confectionery/lolly bag note and lifted the whole nose. On initial appraisal, the feeling was the cider was going to be very sweet on the palate. The overall experience offered up superb delicate features, which was a direct result of the beautiful Moutere Valley fruit. The palate was again fruity and very fresh. There was some encouraging up-front medium dry sweetness which added good palate weight. It wasn't as sweet as initially thought. This was balanced nicely with a malic acid crispness, and small phenolic presence which added a textural component - a trait of the Braeburn apple. The cider does however finish up quite short with the beautiful up-front sweetness and apple flavour disappearing quite fast. It’s like a wave of flavour which hits you super hard then fades away fast leaving you mystified. This made the back palate quite thin, but overall was a simple palate but would please most consumers. The alcohol is a little lower at 4.5%, which helps with the alcohol heat that the culinary apple ciders can seem to have. But the palate is inoffensive, cheery and full of applely goodness. The Old Mout ciders are readily available in Australia, and are a good alternative to the Aussie offerings. This cider in particular offers up such pure, pretty and floral characters which are intense and much different in character to Australian ciders. Clever cider making has helped to capture the Moutere Valley in this bottle, and if you haven’t already, I suggest you give it a shot. So what do you get when you cross a Marketer and an Osteopath? A weird door to door salesman offering medical advice perhaps? No, you strangely get Lucky Duck Cider the proud baby of Shane Capron and his partner Colby Kitchin (just to note, I had absolutely no idea what an Osteopath was before I looked it up!!). 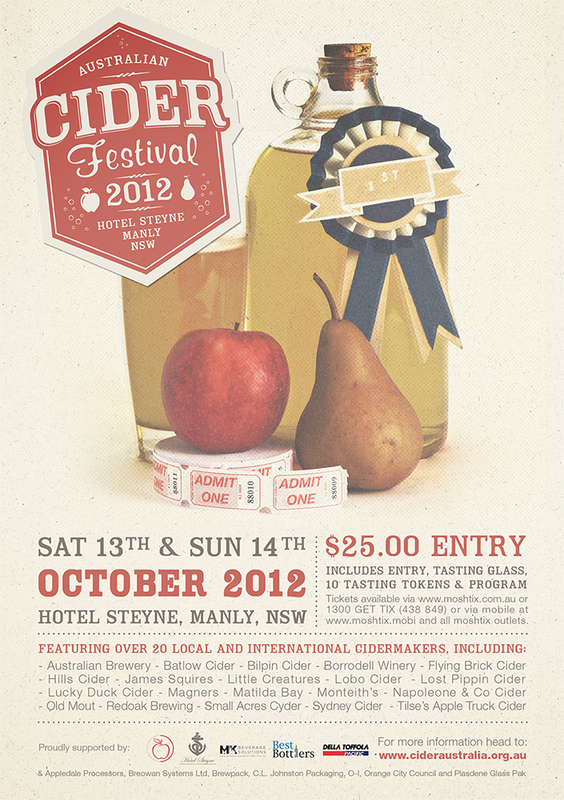 In 2010, they bit the bullet and the self confessed cider lovers delved into the art of cider making. With the help of some Winemaker intervention, the Lucky Duck Cider label was born and in February of this year it hit the shelves in Melbourne. The apple in question used for Lucky Duck is not commonly found in our larger supermarket chains in Australia. The Braeburn apple is thought to be a cross between Lady Hamilton and Granny Smith, and was developed in New Zealand back in the 50’s. The apple is noted for being strong in apple flavour with balanced sweetness, tartness and sharpness. All perfect characteristics for cider making. An interesting fact is the new Jazz apple which can be found in supermarkets, is a cross of Braeburn and Gala. Now that sounds like a good cider making apple! To my surprise, the cider was a really pleasant golden orange colour. I was not expecting this, and am trying to work out in my head if it’s a Braeburn apple trait? This golden orange is much darker than many of the other Australian ciders I have tried recently. The carbonation was also kicking goals, being quite light and inoffensive. The nose immediately offered up a distinct sharp character, and that lifted the fresh apple aroma. The nose reminded me of the flesh of an apple, which is crisp and juicy. Subtle pear characters also lurked in the background. Secondary notes of yeastiness and creaminess also shone through offering up some complexing features. Overall, the aromas of this cider really offered up something new and different, and it was refreshing to see this. The palate gave a great upfront apple character which was smacked down with immense sharpness. The mid palate was full with rich apple sweetness which was balanced with mouth watering crispness. This palate is not your typical thin, watery and super acidic example. You can tell the palate has been specifically crafted to ensure all the key elements are in balance. There is no evidence of any tannin or astringency in this apple variety. The only one outstanding feature which drew my attention was the alcohol, which made the back palate quite warm. The one characteristic of this cider which may be an issue is the beery/yeasty/malty after taste. 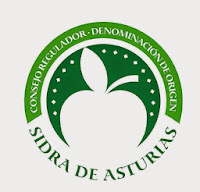 The cider is purposely made with an ale yeast, as apposed to wild yeast or champagne yeast. This was done to help try and lengthen the mid palate and let the apple characters shine through. But this after taste may potentially leave a bad impression on cider drinkers who don’t drink much beer. In general, the cider really reminds me of a traditional vintage reserve cider from Herefordshire in England. Although it does lack the essential oak age and textural tannins from the cider apple, it does have the distinct sharp kick on the palate. I understand that this may not be for everyone, but try to appreciate what the Braeburn apples are actually contributing to the big picture. Remember the cultivar classification’s of traditional cider apples? To remind you it’s - sharp, bittersharp, sweet, and bittersweet. Well this eating apple I believe could unofficially fall into the category of sharp. The use of this apple variety needs to be commended, as it offers a new dimension to the Lucky Duck Cider which I have not seen in any other eating/dessert apple cider. I would love to see an oak aged, less stirred, farmhouse style of this variety too. Great effort from a couple of cider lovers who decided to give it a red hot go!